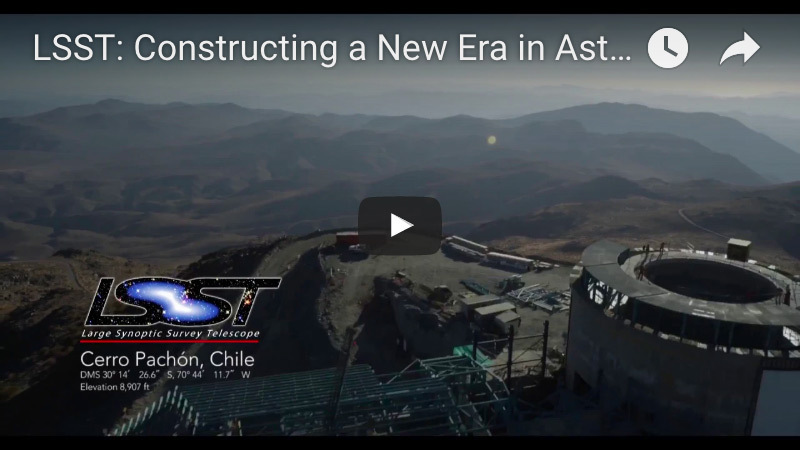 Fly over the summit of Cerro Pachón in Chile with us and see how quickly LSST is becoming a reality! This video documents the progress of construction so far, dramatically capturing the scale and complexity of the ongoing project. A multimedia team was contracted to document the project via drone film footage, time-lapse sequences, panorama images, and full dome clips. This LSST blog post describes the details of the film crew's March 2017 visit to the construction site.